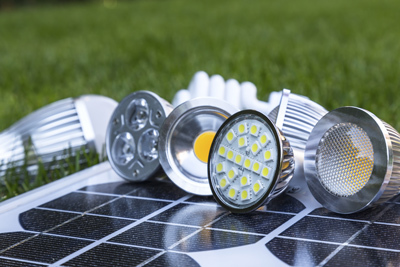 Forbes recently profiled the emerging solar LED lighting industry in an article titled “When (and Where) Solar LED Lighting Makes Sense,” touting the industry’s explosive potential in terms of widespread applicability and profitability. With the estimated worth of the commercial outdoor lighting market at $11 billion overall. Forbes highlighted the transition to LED technologies as an opportunity for manufacturers, distributors, and consumers alike. In 2012, for instance, 54% of the 2 million outdoor lights installed along roadways and tunnels already used LEDs. Whereas, by 2020, Navigant Research predicts, shipments of LED-based streetlights will have topped 17 million. Renewable energy movements shifting into prominence across the nation, it would seem solar LED technology is positioned for broad usage. And also its versatile applications in the near future. ClearWorld’s RetroFlex technology includes a dual LED installation and solar panel for outdoor light poles. The lights will work in low-light, hazy. And cloudy conditions and are also built to outstand floods, high winds, snow, and extreme heat. We have installed lights as pilot programs across the country and have plans to install 234 streetlights in a city that will be remotely monitored.